The Bigg Boss Telugu makers are looking forward to continuing the hit streak of the reality show’s season. As a result, they are in search of a big celebrity to carry the buzz. Thanks to NTR Jr, the Bigg Boss Telugu had a fantastic start. However, Natural Star Nani failed to reach the bar set by the Taarak but Kaushal Army ensured the daily drama and controversies. To bring more hype, the makers of BB Telugu are now bringing in much more controversial celebrities to for season three and to host them, they are in touch with the King Nagarjuna. 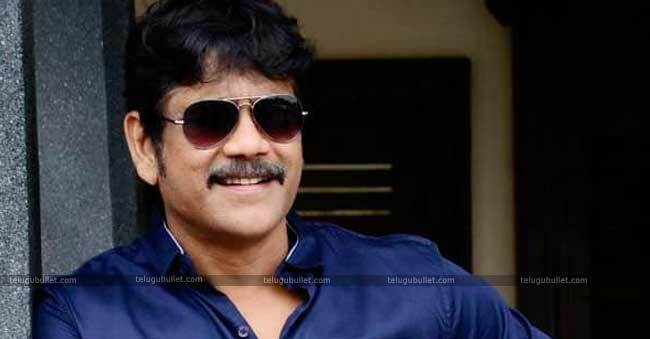 Known for his natural hosting, Nag already impressed the small screen with Meelo Evaru Koteeswarudu and he still maintains good relations with the Star Maa management. So he is more likely to sign the contract and host the season three which would have more controversial players than season two. Initially, NTR Jr was contacted to host the season three but the prior got engaged with RRR. Also, they asked Victory Venkatesh who graced the BB Season Two Grand Finale’s Chief guest but the latter got other commitments. One has to wait and see if Nag accepts this offer or not. Previous articleCan Karan Johar get the RRR Hindi rights ?